A new report from the Weather Channel and the Asthma and Allergy Foundation of America has said that St Louis figures in the Top 10 list of the Worst Fall Allergy Cities in the country. People with asthma planning trips to St Louis will want to look into arranging some medical travel insurance ahead of their trip. High or very high levels of mold spores were reported in St Louis on almost every day of September, the report said. Mid-September is the city's peak fall allergy season. The season will come to an end in late October. The city occupies the ninth spot in the Top 10 list. Knoxville in Tennessee tops the list, while Ohio's Dayton comes second. 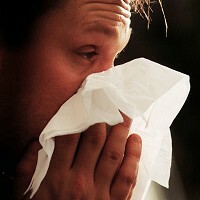 Others featuring in the Top 10 list of the Worst Fall Allergy Cities in the US include McAllen in Texas, Jackson in Mississippi, Oklahoma City, Louisville in Kentucky, Wichita in Kansas, Madison in Wisconsin, and Tulsa in Oklahoma.